^ Kohler, Chris. 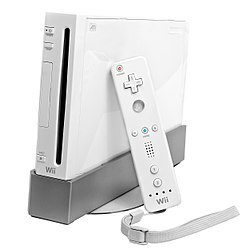 "Ubisoft Just Announced A Wii Game". Kotaku. Retrieved 2019-02-19. ^ a b Ashcraft, Brian (2017-05-30). "Sony Finally Killed Off The PS3 In Japan". Kotaku. Retrieved 2017-08-16. ^ a b Ackerman, Dan (2017-05-30). "Sony PlayStation 3 ends shipments, fulfilling 10-year promise". CNET. Retrieved 2017-08-16. ^ Statt, Nick. 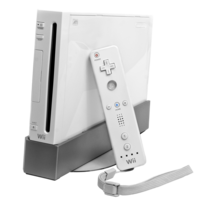 "Nintendo says sayonara to the original Wii". CNET. Cnet. Retrieved 13 June 2017. ^ Campbell, Evan (2014-06-03). "Sony Discontinuing PSP". IGN. Retrieved 2016-11-02.